Reveries and Reliquaries is composed of paintings and sculptures that recall an ethnic sensibility and geometric organization. Adapting processes that are traditionally used in the production of textiles, Stover uses materials and techniques that recall a collective history with the completed painting and forms revealing themselves in the making. Stover explores the meditative qualities of repetitive labor involved in stamping, stitching and constructing, along with how these created objects and textiles are tied to identity, status and religious beliefs in various cultures. The exhibition features an entirely new body of work for the artist, including small freestanding sculptures and large and medium scale mixed media wall pieces incorporating encaustic wax. The majority of these new works have a similar color palette, primarily white, grey and muted earth tones creating a quiet and meditative installation and grouping. 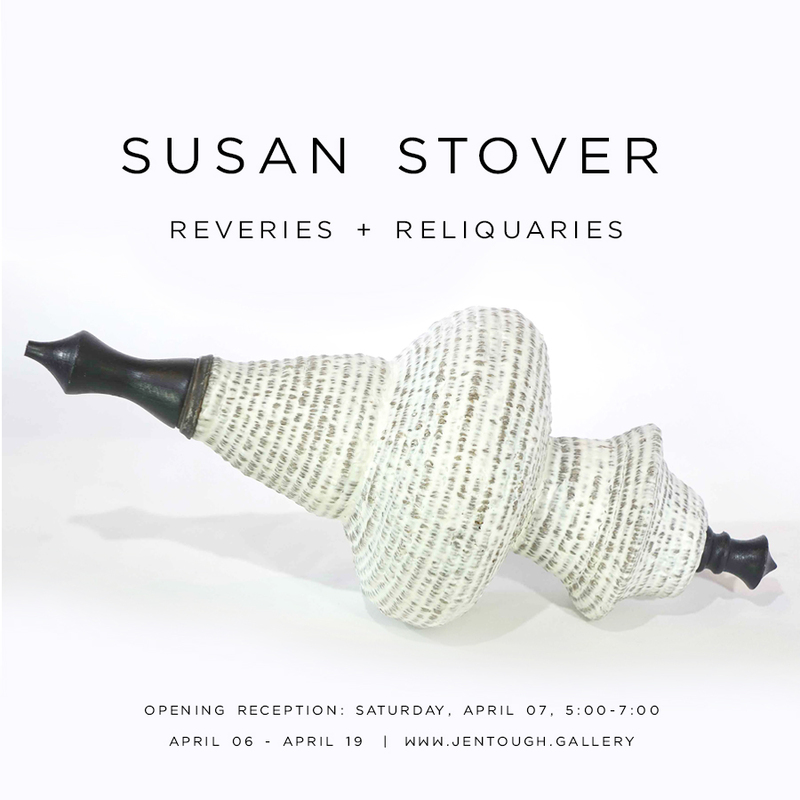 Susan Stover received an MFA from CCA in Oakland, and a BFA from Miami University in Oxford, Ohio, with both degrees concentrating on textiles and painting. She has shown extensively across the US and is known for her teaching and workshops given in her studio.